This week sees the first of this year’s WGC Tournament with the Accenture Match Play Championship pitching up at the Jack Nicklaus designed The Ritz-Carlton Golf Club, Dove Mountain. Nicklaus has said of the layout: “It’s absolutely gorgeous high desert, with a great forest of Saguaro, an abundance of cactus and beautiful vistas”. The 7,833 yard monster is one of the longest courses on the PGA Tour but with the altitude being taking into account, doesn’t really play its true length, ranging from 2,300 to 3,200 feet above sea level. Nicklaus stated before last year’s Match Play event, “At this altitude, though, you’re taking about 4 percent off that so you’re basically at a 7,500-yard golf course, which is fine for professionals”. Its one of the ultimate risk and reward courses which is ideal for match play golf. There are few blind spots along the cactus-lined canyons, It’s large fairway bunkers and other hazards are almost all plainly visible. Large undulating greens have plenty of movement in them to make matters interesting, so the emphasis will be on a great short game, rather than power. Nicklaus has also incorporated into his design mostly-dry steam beds along and across the fairways and in front of the greens. I think Rory McIlroy 11/1 has one of the hardest routes to the final with the Player bracket containing his first round opponent George Coetzee 110/1, Sergio Garcia 20/1, Charl Schwartzel 28/1 and Ian Poulter 28/1. 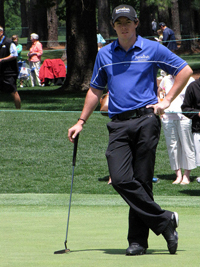 But Rory has been in great form and an improvement in his short game should see him through. 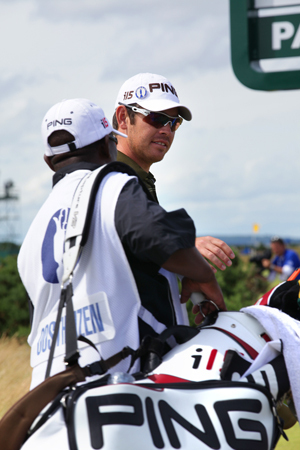 Louis Oosthuizen 55/1 is another player who has been in great early season form and although the Hogan bracket has the likes of Hunter Mahan 45/1 who has a great match play record, Steve Stricker 33/1 who could be his 2nd round opponent, Martin Kaymer 20/1 and 2010 Ryder Cup legend Graeme McDowell 45/1. I can see the South African coming through this section. The Snead bracket seems to be wide open for me, Tiger woods 14/1 is coming back into form and will know doubt try to impose himself. Nick Watney 45/1 winner of last years WGC Cadillac Championship, Webb Simpson 25/1 and Justin Rose 60/1 are all strong contenders. But I can see Nicolas Colsaerts 70/1 coming through this section. He has been playing some great golf this year and I think the match play format may just suit him this week. Brandt Snedeker 55/1 has a tough bracket in the Jones section. With the likes of defending champion Luke Donald 16/1 who’s short game is perfect for this track. Dustin Johnson 30/1, Jim Furyk 60/1 and Adam Scott 30/1, but I can just see Brandt getting out of this section, he is in great shape with a winner at the Farmers Insurance Open already under his belt. A couple of other players to watch out for are George Coetzee 110/1, who players Rory in the first round and also from the same bracket and fellow South African Charl Schwartzel 28/1, don’t be surprised if you see an all South African final between one of those two and Louis Oosthuizen 55/1.